Secret Message Kit is rated 5.0 out of 5 by 1. Let your students write short secret messages to each other. Students "write" (inoculate) a brief message on photobacterium agar dishes using the bioluminescent bacterium Vibrio fischeri. After 24 hours of incubation, they "read" each others' messages in a dark room. For a class of 30. Let your students write short secret messages to each other. Students "write" (inoculate) a brief message on photobacterium agar dishes using the bioluminescent bacterium Vibrio fischeri. After 24 hours of incubation, they "read" each others' messages in a dark room. With teacher instructions. Note: Store bacteria upright in envelope with cap loosened a quarter turn and at room temperature. For best results, use within 1 to 2 days of receipt due to bacteria's bioluminescent phase. Rated 5 out of 5 by Mel79 from Very stable easy to use kit I used this kit in a ScienceRocks presentation/hands on exercise for 5th and 6th graders. They really liked it. 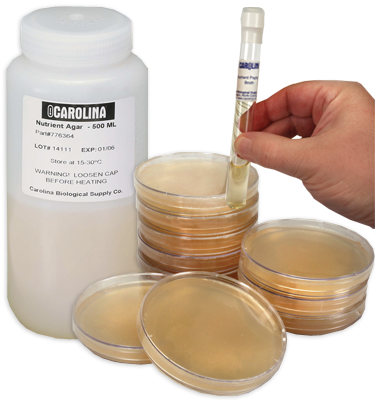 Recommended culturing is every 3-4 days to maintain bioluminescence. Best viewing between 24-36 hours for me, 18 hours was a bit too soon for my cultures, 24-36 was peak. While best viewing is in pitch black - they are still luminescent in a semi dark room (as I couldn't get our room pitch black). As your eyes adjust the luminescence sticks out more.